These polar bears are now more than 10 years old, and showing signs of their age. They hang out on the grounds of the Manitoba Legislature and were enjoying the late evening sun when I stumbled upon them. All of them were missing their name plates. 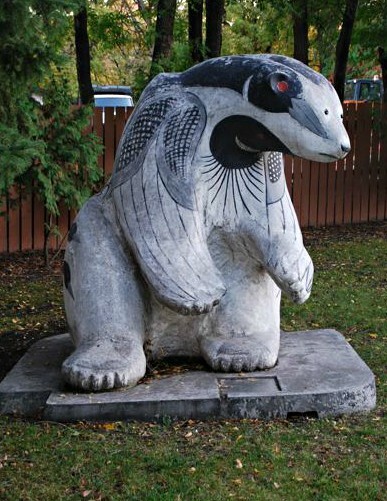 At one time, they were part of a fundraising display for CancerCare. 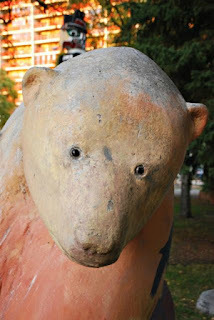 The bears looked a little sad, I thought, in spite of their artistic, colourful coats. 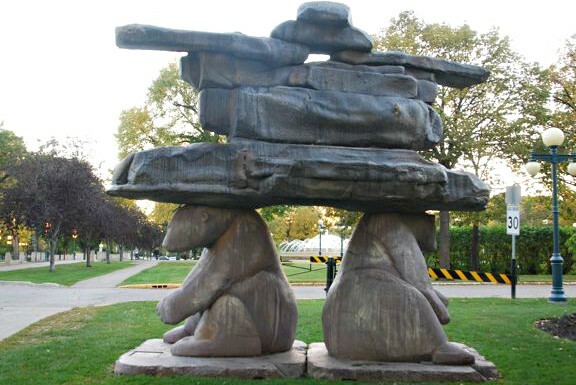 combining two Inuit words - Nanook for polar bear and Inukshuk, a directional guide for a safe journey made of stacking stones. 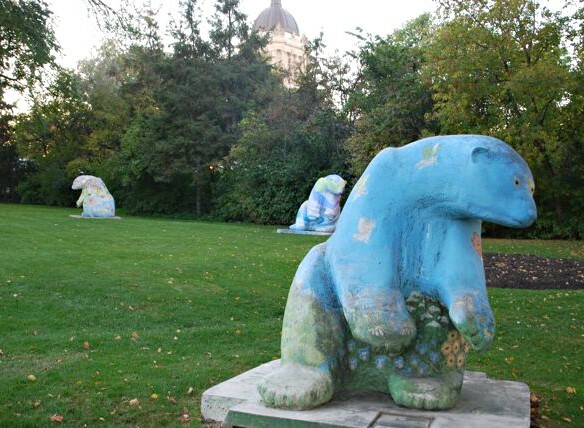 The other bears have made a journey to various parks and gardens around Winnipeg. 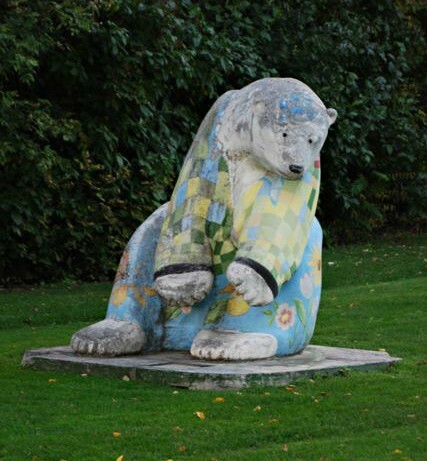 A new coat of paint will bring the bear back to new life. What a heavy load for the 2 bears to bear in the last photo! 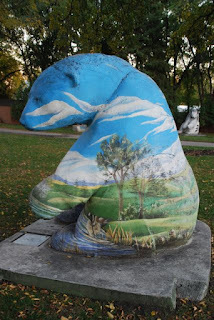 I suppose it would be a lot of work (and expense) to repaint them. And not a snowflake in sight! If the weatherman's right, I may be able to help tomorrow :) :) Many thanks, Violet. They are very cute. 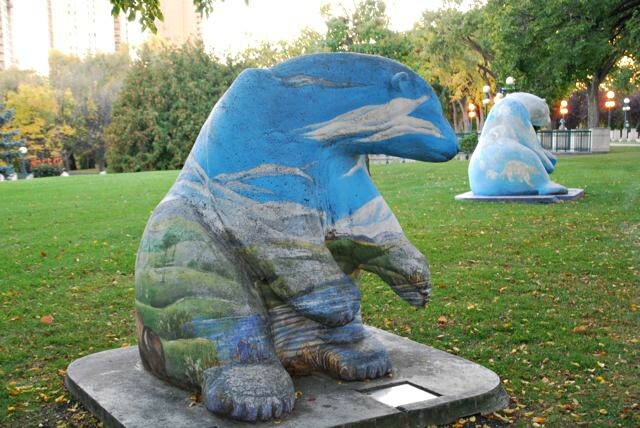 no snow - even Winnipeg is enjoying warm weather this season! What a great collection, the last is special. But do they get head aches? nah, polar bears are STRONG! I didn't know anything about them, so this was indeed a surprise! I'm sorry I missed them in 2005. 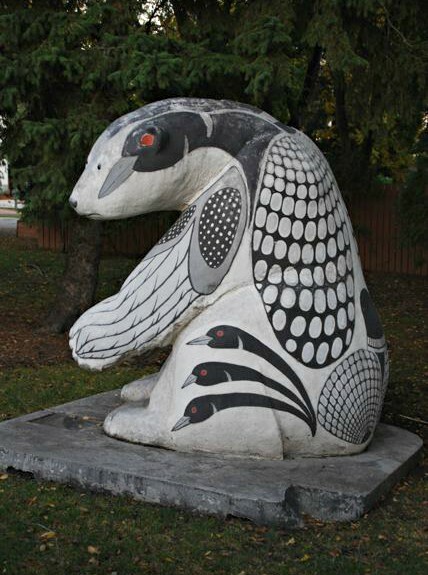 I spend a lot of time in coastal British Columbia and have seen similar sculptures (usually orca whales)but none can compare to the "Loony Bear".